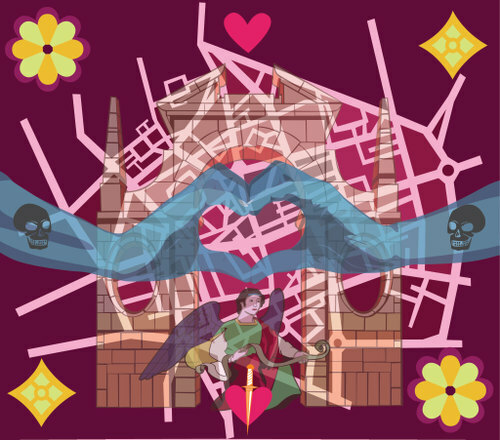 Illustration for the Shoreditch Map, February 2007. We did the layout for the Clerkenwell & Shoreditch maps, areas situated in East London. The theme was Romance, and we did two versions: Shoreditch the Nauty, due to the red light district and Clerkenwell the True love as a hommage to to the local poetes .